Music is truly at the heart of Vietnamese culture, from the ancient opera cai luong and well known traditional songs to the latest pop songs of V-Pop. The styles may be different but the content of the songs is usually of love and longing, for people and for places. Though many traditional Protestant churches have favourite old hymns, there is also a gradual move to introduce more Vietnamese style worship songs. And in more informal house churches translated modern worship songs are being mixed with songs written by local believers which use familiar local music styles. 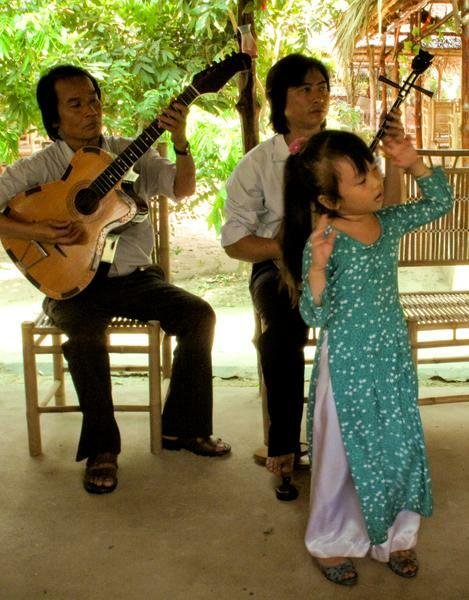 Will these newer musical styles help bring Vietnamese believers to worship Jesus in song? Can those who have yet to hear of Jesus be reached through music? Pray that Vietnamese believers would have the music which brings them to worship Jesus in songs from the heart. Pray for believers with musical abilities to have the opportunity to write new worship music. Music can be a wonderful way of sharing the good news, pray this would be used effectively in this musical society.